It’s annoying but unfortunately true: most parts of the body work less well as one gets older and older. This is even true of the brain, which is part of why it becomes more common to experience a “tip of the tongue” moment as one gets older. Understanding how aging changes cognition is important. It can help you understand what to anticipate when it comes to your own aging. It can also help families better understand the changes they’re noticing in an older person, and whether those are out of the ordinary or not. Since I’ve often written about changes in thinking that are abnormal and concerning in older adults, I thought it might be helpful for me to write an article outlining what is normal and to be expected. Now, I’ll be frank. As you’ll see, most mental processes become less nimble with time. Just as your 75-year-old self can’t run as fast as your 30-year old self, your 75-year-old brain will, for the most part, not think as quickly either. This can be discouraging news to many people. Which means they might feel reluctant to learn more about this. But the news is not all bad. Yes, things tend to work a little slower and less well, but on the other hand older adults can often compensate by drawing on their experience. Cognitive aging also helps older adults become more optimistic and emotionally resilient, as I explain later in the article. By better understanding cognitive aging, you’ll be better equipped to understand the older adults in your life, whether that is yourself or an older loved one. How does cognitive aging differ from a disease or more concerning changes in mental function? People sometimes have trouble understanding how cognitive aging is different from something more concerning, such as mild cognitive impairment, early Alzheimer’s disease, or other memory-related conditions they may have heard about. A good explanation of the difference is available here, in the Cognitive Aging Action Guide published by the National Academy of Medicine (formerly the Institute of Medicine), which issued a fantastic report on cognitive aging in 2015. Basically, cognitive aging is the brain’s version of your body parts working less efficiently due to age, rather than due to disease or serious damage. This loss of efficiency is gradual. And like many other age-associated changes in the body, cognitive aging tends to happen a little differently for every person, in part due to things like genetics, lifestyle and environmental factors. But it’s not a disease. Very importantly: cognitive aging doesn’t involve neurodegeneration or significant damage to the brain’s neurons. So whereas Alzheimer’s disease and other conditions cause neurons to become badly damaged and eventually die, in a normal older person with cognitive aging, the brain’s neurons are basically ok, they’re just working less quickly and less well than earlier in life. Although cognitive aging does cause certain mental processes to happen less quickly, normal cognitive aging should not impair an older person’s abilities to the point that they are visibly struggling with life tasks or no longer able to live independently. People often think of memory when they think of cognition or “brain function.” But there’s actually much more to thinking and the brain’s work. Here are six key ways that cognition changes with aging. What it is: This refers to how quickly the brain can process information and then provide a response, such as making a movement or providing an answer. Processing speed affects just about every function in the brain. Processing speed in of itself is not a specific mental task, it’s about how quickly you can manage a mental task. Processing speed decreases with age, with one expert describing it as a nearly linear decline. This decrease starts in early adulthood, so by the time people are in their 70s or 80s, processing speed is significantly down compared to the speed one had in one’s 20s. Older adults need more time to take in information and to formulate an appropriate response, compared to their younger selves. Some older adults may struggle with complex tasks that require a lot of quick information processing. Driving, in particular, can be affected by slower processing, because driving requires the brain to keep noticing and processing a lot of information while quickly formulating appropriate responses. This refers to the ability to temporarily hold information in mind and manipulate it mentally, like remembering a new phone number and then dialing it. 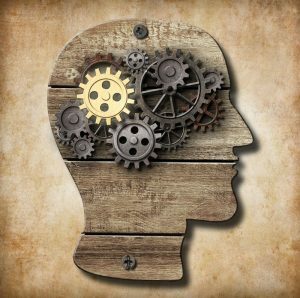 Working memory is involved in a variety of mental tasks, including problem-solving, making decisions, and processing language. This refers to factual information that you acquire over time, such as the name of a state capital. This refers to one’s memory for personally experienced events that have happened at a particular place or time. This refers to the ability to remember to do things in the future. This is also known as skill learning. It refers to the learning and remembering how to do certain activities. It usually requires time and practice to build up. Memory is actually a complicated topic, one can identify many other subtypes and experts are also still debating just how to categorize and explain the many different ways that people remember information or how to do things. It’s also technically a different task for the brain to create a memory (this is sometimes called encoding) versus to retrieve it. So a person may have trouble remembering something either because they had difficulty encoding it in the first place, or because they are having difficulty promptly retrieving it. Normal older adults are generally good at retaining information and memories that they’ve previously acquired, but they can take longer to retrieve them. The ability to perform well-learned procedures (e.g. typing) remains stable. However, older adults often need more time and practice to learn a new procedure and create the procedural memory. Declines in working memory mean that older adults may take longer or have more difficulty solving complex problems or weighing complicated decisions. Declines in episodic memory may cause older adults to be a little more forgetful, especially for recent events. Declines in prospective memory can make older adults more likely to forget something they were supposed to do. It can help to give older adults more time and support to actually encode information into their memories. This requires processing time and also adequate attention (see below). This is the ability to focus on something specific despite the presence of other distracting and “irrelevant” information or stimuli. Examples: spotting the relevant information on a cluttered website, following a conversation despite being in a busy environment. Also known as “multi-tasking,” this is the ability to manage multiple tasks or streams of information at the same time. Examples: reading a recipe while listening to music, driving while talking to someone. This is the ability to remain concentrated on something for an extended period of time. Selective attention gets worse with aging. Divided attention gets worse with aging. Sustained attention does not tend to get worse with aging. As people get older, they are more easily distracted by noise, visual clutter, or a busy situation. It requires more effort for them to pay attention, especially when other things are going on. People will also get worse at multi-tasking or switching between tasks, as they get older. What they are: Language skills cover a variety of abilities related to understanding and producing both verbal language and written language. Vocabulary tends to remain stable with aging. The comprehension of written language tends to remain stable. Speech comprehension can decline with age, especially if the older person has any hearing difficulties or if the speech is rapid or distorted (because such speech requires more mental processing). More time is needed to find a word, and it becomes more common to pause in the middle of a sentence. Spelling familiar words may become more difficult. The ability to name a common object tends to decline after age 70. Normal older adults retain their vocabulary and ability to comprehend written language. They may struggle with understanding rapid speech or distorted speech (such as that broadcast by a loudspeaker or synthetic voice). Retrieving words often takes longer. How it changes with aging: Executive function generally declines with age, especially after age 70. Normal older adults generally can perform the executive functioning tasks listed above, but they will not do them as well as when they were younger. Older adults may struggle or take more time for more demanding executive functioning tasks, especially if they are tired or otherwise cognitively feeling taxed. Paying less attention to or withdrawing from negatively-simulating situations. Paying more attention to positive things. Becoming better at remembering positive things. Normal older adults develop a positivity bias, and will tend to pay more attention to situations that are emotionally positive. Older adults have more difficulty remembering or paying attention to situations or problems that generate negative emotions. This may be part of why it’s difficult for them to engage in planning for unpleasant future eventualities. People tend to get happier and recover from negative emotions more quickly as they age. Older adults may seem to avoid or deny certain issues that they find unpleasant. When experts discuss normal cognitive changes in aging, they sometimes refer to crystallized intelligence versus fluid intelligence. Crystallized intelligence gets better or stays stable as people get older. This experience and wisdom does enable older adults to compensate for some of the decline in processing speed and other ability. It also means that older adults may perform better than younger people at those mental tasks that require depth of experience or knowledge. Fluid intelligence, on the other hand, refers to abilities related to processing power, taking in new information, problem-solving with new or less familiar information, and reacting quickly. Fluid intelligence is at its peak when we are younger adults, and then declines over time. It’s true that some very common brain problems, such as very early Alzheimer’s disease, can be very hard to tell apart from changes due to cognitive aging. What is nice about the Alzheimer’s Association’s resource is that for every early sign, they give an example of a normal change due to cognitive aging. If you are wondering whether certain changes might qualify as “mild cognitive impairment” (MCI), then you’ll probably need to ask your health provider for more assistance in assessing memory and other cognitive domains. In general, the diagnosis of MCI requires objective evidence of cognitive difficulties that is beyond what would be considered normal, but not bad enough to qualify as dementia. In other words, in MCI, cognitive testing should reveal that a person does worse than expected for his/her age and level of education. But the person should still be able to manage daily life tasks. Lack of interest in activities, and/or inability to enjoy activities one used to enjoy. If you notice any such symptoms, it’s important to not assume this is “normal aging.” Instead, I recommend learning more about these symptoms and then bringing them up to your usual health providers. Such changes in behavior can be caused by a variety of different health conditions, none of which should be ignored. You can learn more about what can cause paranoia and other forms of “late-life psychosis” here: 6 Causes of Paranoia in Aging & What to Do. I also explain what should be done during a primary care evaluation for cognitive impairment here: Cognitive Impairment in Aging: 10 Common Causes & 10 Things the Doctor Should Check. In short, cognitive aging means that as we get older, our mental functions become less nimble and flexible, and many aspects of our memory get a little worse. We also become more easily distracted by busy environments, and it takes more effort to work through complex problems and decisions. Aging also tends to make people more positive, optimistic, trusting, emotionally resilient, and focused on good things. This often helps people feel happier as they get older. But, this can make it harder for older adults to plan ahead to avoid problems, or to think through decisions that generate negative emotions. These changes to the aging brain can also make older adults more susceptible to deception and financial exploitation. Can anything be done about cognitive aging? 1.Take steps to optimize and maintain your brain function. 2. Take sensible steps and precautions to compensate for cognitive aging changes. There’s no need to seriously limit oneself in later life, just because the brain isn’t quite as quick and nimble as it used to be. Allow older adults more time to think through complicated decisions. Writing down key points to consider can also help, as this reduces the need to use mental working memory. For more mentally demanding conversations and decisions, avoid noisy, busy, stimulating, or otherwise tiring environments. An example of a mentally demanding conversation would be one in which adult children ask their aging parent to consider whether to move to a new living situation. It’s also probably a good idea to avoid doing these late in the day, or when a person’s brain and body might be tired. Use hearing aids or otherwise minimize hearing difficulties, for those many older adults who have some hearing loss. A good short-term solution can be to use a “PocketTalker“. Remember that “negative” possibilities become harder for older adults to keep in mind. So it may take extra persistence and patience to discuss these. Such “negative” possibilities include the possibility that one’s new romantic interest is after one’s money, that one might fall and break a hip at home, etc. Simplify finances and take steps to reduce the risk of financial exploitation in later life. I must say that after researching this article, I found myself thinking that we should all consider making an effort to deal with big complicated mental tasks (e.g. estate planning, advance care planning) sooner rather than later. Because the longer one waits, the harder it becomes for the brain to think through complicated decisions. Any questions or comments on cognitive aging? Post them below! The post 6 Ways that Memory & Thinking Change with Normal Aging (& What to Do About This) appeared first on Better Health While Aging.